That’s a closeup of the back. 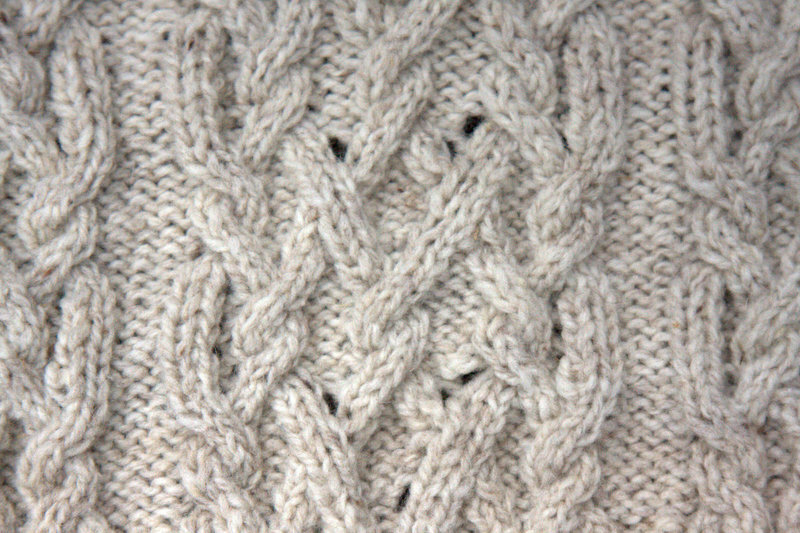 The cables are intricate and beautiful, with lace integrated into the cabling. It is fun to knit but slow-going and tricky. Although I have mostly internalized the pattern by now, I still need to concentrate. The Neon, on the other hand, once I got beyond my initial stupidity (documented here) is easy and takes little thought. It is good TV knitting, or holding-a-conversation knitting. Depending on what else I am doing at the time, I am switching back and forth between the two, sometimes quite literally. Last weekend, when we had pleasant weather, I sat in the garden knitting. When I was by myself, I worked on Exeter; as soon as someone joined me I would put the Exeter down and pick up Neon. As soon as I was by myself again, I switched back. While the jacket will likely still take months to finish, the Neon is coming along quickly. 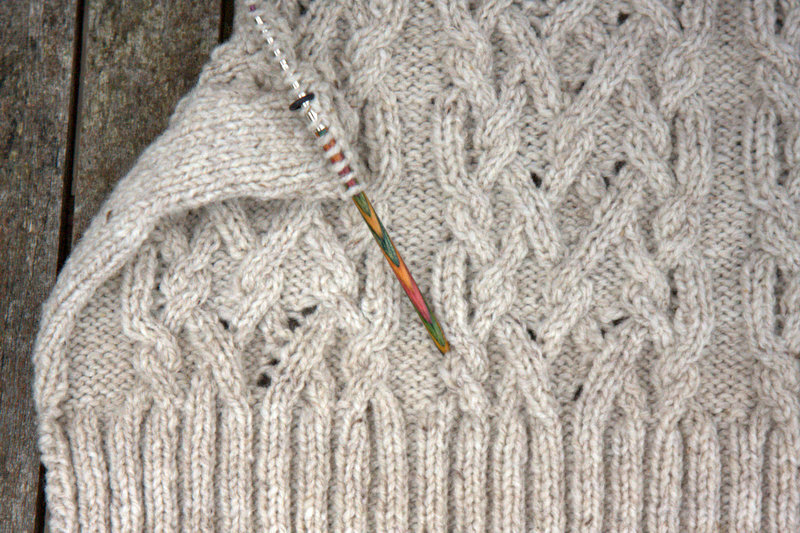 I am just a few rows short of where I will separate off the sleeves and then it will move even faster. Of course, if I could bring myself to ignore all those luscious cables for a few weeks, I could whip this out super quick, because everyone knows that two projects are slower than one. I can’t do it though. There is something absolutely hypnotic about watching the progression of the cables across the back piece of the jacket. How could anyone resist? The Neon, while being an easy and intuitive knit once you get started, is still keeping my interest intellectually because of it’s construction. 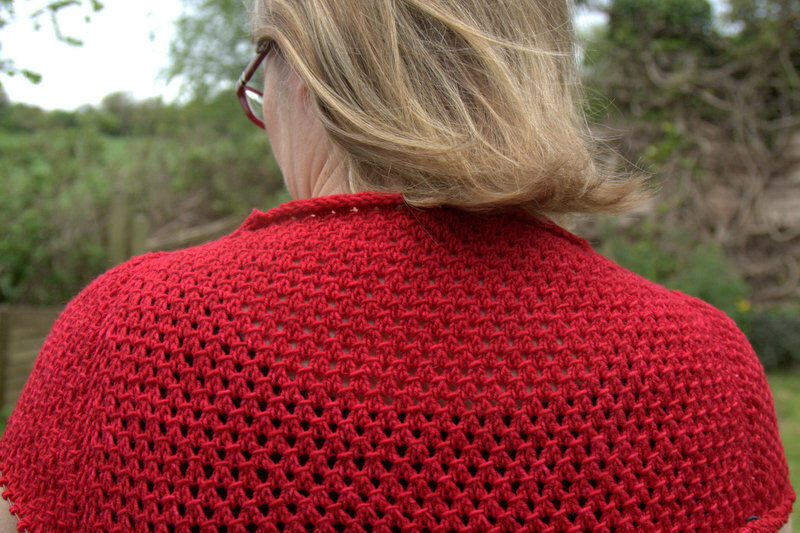 Knitters today are really moving towards knitting top-down seamless sweaters. While this has the obvious advantage that you can try the sweater on as you knit, I have never thought the shoulders are properly fitted using a top-down approach. With either a raglan sleeve or a yoke construction, the shoulder is never as neat as with a properly inset sleeve. 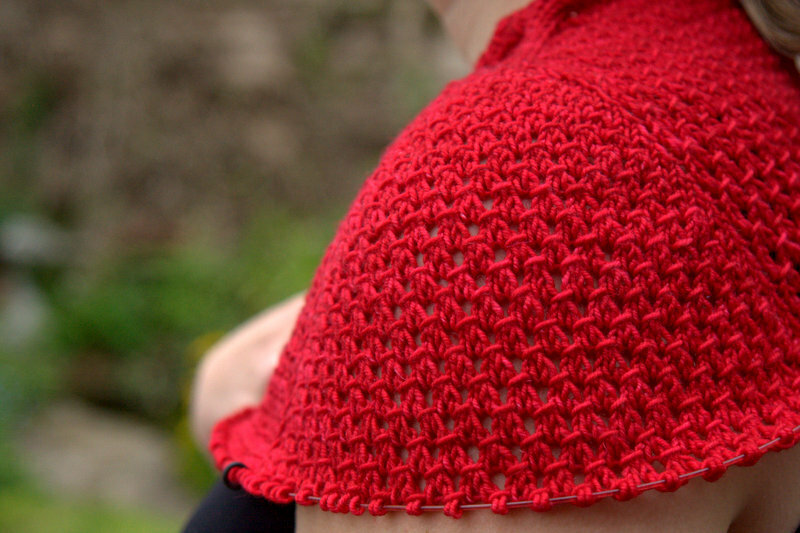 Recently, a number of new methods have been developed for shaping a better shoulder while knitting top-down and seamless. One of these is the Contiguous Method, developed by Susie Myers. Many designers are now incorporating this method into their designs. I have wanted to knit one for awhile. When I saw that Neon, designed by Joji Locatelli, incorporates a contiguous shoulder, it moved to the top of my to-knit list. As you can see from the above photo, the shoulder resembles a set-in-sleeve, in terms of its shaping and general architecture. However, it is knit in one piece with no seams. I think my execution is not perfect, but I will fix that up in the blocking. So far, I am really liking this. 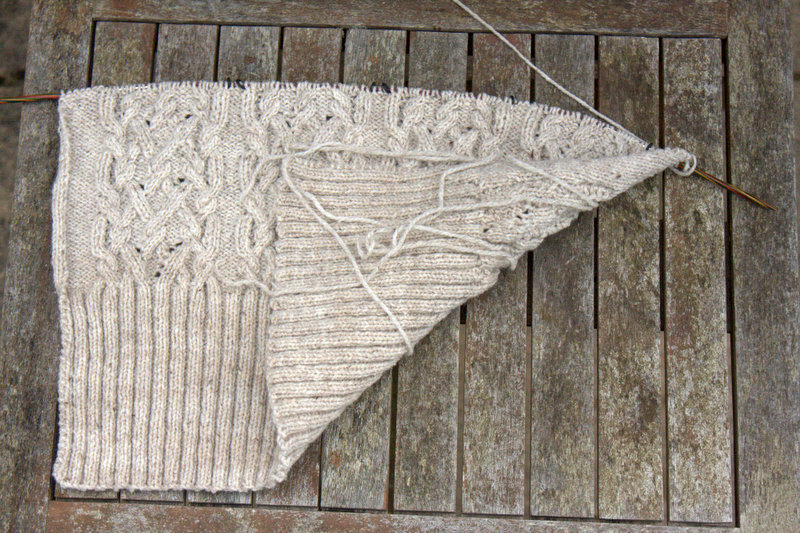 The Neon is going to need some serious blocking, both to get it to fit (it’s a bit snug) and to get the lace to pop. It really is a lovely pattern and a fun knit. Joji is meticulous in her instructions. If you are looking for a summer cardi, I would recommend it. Never fear, the wind and I had a tussle, but I won. I am now enjoying the indoors, cooking up a storm (butter chicken and spicy eggplant) and sneaking a row in here and there. This entry was posted in Main and tagged Contiguous Method, Exeter Jacket, Joji Locatelli, Knitting, Michele Wang, Neon cardigan, Plucky Sweater, Susie Myers by knitigatingcircumstances. Bookmark the permalink. Ooh, I love the idea of a car project! I get lots of good knitting done in the passenger seat. I’m glad you like the blog. Always glad to meet new knitters. Hello! What gorgeous knitting! I think it’s nice to swap about, keeps the interest up! Both projects will be fabulous! Thanks, Jenny. 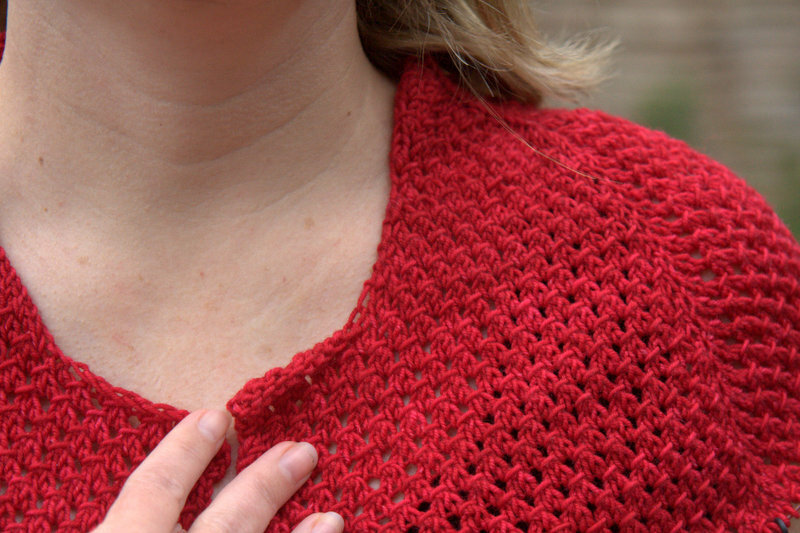 These two projects speak to different aspects of my knitting psyche, so they are a good pair. Thank you. I enjoy reading your blog, too; it helps me remember my German. What fantastic WIPs ~ I love how you’re working on two sweaters but that they both are so different in texture and color!! Thank you. I find it really helps to have very different projects in progress; that way, I can suit my knitting to my mood.